The Magdalene Rising Retreat with Nicola Amadora was a supreme opportunity to dive deeply into the soul of the sacred feminine, to return to her womb, to be reborn in the fire of holy love. It was epic! Nicola held an exquisite container for the deep healing, awakening and embodiment. I loved the structure of being in nature, meditating in the grotto, the druid circle…the teachings and the profound relating practices. Truly it was an initiation into the deeper mysteries of life and the feminine. I carry this tremendous blessing into my life and work, which will benefit many. Thank you with all my heart. ~ Ashanna Solaris, CA, Workshop Leader. “Sometimes when you find something wonderful, you want to keep it all to yourself, like sharing it with other people would make it less special. But sometimes, something–or someone–amazes you so much that you want to share it with everyone you meet. Nicola is exactly such a treasure. Nicola makes what she does seem effortless. She has an incredible intuition that she supports with a deliberate approach. She is 100% present in all interactions, exemplifying mindfulness and empathy. “Thank you so much for your wisdom, your grace and presence. The ceremony was beautiful and just perfect. You held the space for over hundred people in a powerful way, there was such a sense of magic and sacredness you brought forth. Many people said it was their most beautiful and memorable wedding ceremony ever. Thank you for the profound work you did with us. I feel I am under a spell, a spell of love, us and you.” Cece Mc Neil and Mark S.
“The instant I met Nicola Amadora I knew I wanted her to officiate at my upcoming wedding. She radiates a gentle, joyous accessibility that is authentic and tremendously effective throughout the entire process. The time and care she puts in building relationship with a couple in order to personalize the ceremony makes for a truly special wedding. She is particularly adept and astute at navigating through the inevitable ‘issues’ typical of brides and grooms. The wedding was heartfelt, elegant yet simple and very beautiful. You are safe and well rewarded by entrusting your momentous day to Nicola’s capable heart and hands.” ~ Teresa and John Azahr. “Nicola is an extraordinary feminine leadership facilitator and teacher. And she is a natural, highly gifted and inspiring speaker. She teaches from her heart and offers very powerful relating skills to simply, yet profoundly, connect with people. I gained invaluable skills to lead and relate with more presence and authenticity that I will use both in my personal and professional relationships. After taking the training, it was clear that she is truly an expert in relating and leadership skills and very passionate about her work. She is a gem and I highly recommend her courses, trainings, retreats and individual therapy sessions.” ~ Char Longwello, Morgage Consultant. “Nicola Amadora is the real deal. She led me from death to life.” ~ Desiree Casidee, Watsonville. “My life before Nicola was all in my head, and I was playing a game of survival with a heavy dependence on antidepressants. It was such a heavy cost, living life like that. My body was screaming for help, and I knew I was getting to a point that I could no longer raise my two little children without the aid of a savior. And that’s when Nicola came into my life. She saved me. She lovingly saw through me, and held me in a light to transform. I’ve been living without antidepressants for two years now, my body is healthy and strong, and my family is thriving. When I occasionally trip into old patterns, I don’t linger. I have the tools and the support to come and go when I want. And I am never alone. Nicola’s nurturing voice is in my head, and my heart is resting gently in her hands. I am free and I am loved and I am forever grateful.” ~ Amber Payet, Santa Cruz, Mother of two. “It really doesn’t get any better than Nicola in terms of finding an incredible therapist and life coach. She has so much training and is so wise. I’ve never received better guidance and tools that are applicable to my relationships, emotional intelligence, and life. I have referred her to friends and everyone loves her. She focuses on the core underlying issue instead of on the insignificant details that we often like to obsess over, which is so much more effective! She exudes kindness and empathy while still staying strong and professional. I highly recommend her. She is amazing! “Nicola is a very diverse and experienced therapist, leader and teacher. She has helped me in couples therapy, in dealing with grief and loss, and in being a leader in my career. Working with Nicola is unlike anything I imagined therapy to be. What I am present to when I leave a session with her is how much I contribute to people and life around me. I was introduced to Nicola by my ex-wife for marriage counseling. I only had a few sessions with her and my ex; however, it was in our one-on-one sessions where I started the healing that I had been needing my entire life. That was seven years ago. Since then, she has coached me through the loss of family members, helped me to deal with compulsive behavior and self doubt, and has guided me through anger management. More recently, she has helped me to realize my potential in my career and to focus on the things most important to me. “We are so appreciative of your expertise, skillfulness, gifts- and most of all – your heart. Thank you for an amazing and special leadership session you provided for our national women chapter leaders group. We will continue to use the practices on how to lead from real connectedness. You made a real difference. Thank you so much!” ~ Linda Patty, Main Women Chapter Leaders for DFW. “Dr Nicola Amadora is a treasure. As someone who had a lot of psychotherapy in my past, I wish it could have been with her. Dr Nicola quickly and with great compassion help me get past my “story” about what was going on in my life, and into the heart of the matter. Actually, she gave me a very accessible method for entering into my own Heart, and for being truly present for my loved one. The result has been deeper, more effectively supportive and truly loving interactions with this family member. 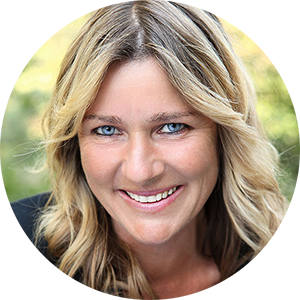 Dr Nicola’s extensive international training and vast experience is matched only by the depth of presence she brings to her sessions. Nicola is a very diverse and experienced therapist. She has helped me in couples therapy, in dealing with grief and loss, and in being a leader in my career. Working with Nicola is unlike anything I imagined therapy to be. What I am present to when I leave a session with her is how much I contribute to people and life around me. We came to you with a family deranged. Disconnected from my husband and mother was more than I could bear. My husband and I love each other very much and our children are effected by the way we relate. Nicola you helped us to find back to each other again. You helped us to heal old wounds and bridge the gaps. The ice melted and we came together again, more real, deep and intimate than ever before. We learnt how to communicate in healthy ways, gaining greater understanding and connection. Our love after 18 years has grown leaps and bounds with these sessions. We now are creating wonderful projects together and Grandma visits us too. Nicola you helped us to heal and bring us togehter in ways we could not imagine. You went straight to the heart with us, reached each one in a unique way and brought us together.It means the world to us, thank you! ~ Jolla and Jossi, Dance Teachers and Parents of two. “What Grace you have entered my life. My gratitude is boundless for the myriad of ways you show up…for your own bravery, courage and wisdom that has morphed in to this beacon of love and light in form. I had the unexpected and unique opportunity to attend Nicola Amadora’s workshop on Leadership and Sacred Activism twice in a period of 2 months. The first was a full day workshop with (mostly) adults and my 2 children aged 14 and 11. The second was a 2-hour workshop with (mostly) kids who are budding activists in the world of ocean conservation and the parents of those kids. What stands out for me is that Nicola is able to help groups understand and connect with each other – despite the very different nature of each group. We were able to learn things about each other – that we had not known over months of working together on projects. And the sharing happened in an atmosphere of respect and caring. Understanding your team members and their motivation and differences while we all work towards a common goal – whether its activism or a corporate project – only makes us more cohesive as a team. Nicola brings an ability to help the group get to a place of comfort and ease which fosters connection. This was especially incredible for me to watch as I saw that happen with 2 groups of different ages, experiences and cultural compositions. I saw veteran activists who had been involved with their causes for more than 2 decades as well as novices (such as myself) be able to share, learn and connect in meaningful ways. I saw the same interactions happen with the group of kids – as they sat next to adults and kids – be able to share with a sense of ease of comfort. This was particularly important as this ease gave the courage for group members – to share their life experiences that were very different from the group due to cultural and/or socio- economic factors. Personally, it was a moment when I realized I learned more about my team members in those 2 hours than I had over months of working with them. Nicola was able to guide our 2 groups through the various exercises while bringing a sense of humor and compassion. This was an incredibly crucial part of the experience – that we were able to talk and share about very pressing issues without feeling an incredible sense of overwhelm that paralyzed us. Yet, at the same time we had the safe space to process the emotions that arose – anger, frustration, sadness and impotence – as we shared our experiences in ocean conservation and human rights violations.I believe that what Nicola brings is extremely valuable in a world where we work faster to accomplish things in shorter periods of time. This pace to complete tasks takes away the time and effort to connect with each other and Nicola’s exercises offered a window to enable that connection. The simplicity of the exercises made them extremely accessible to all of us but the learnings and connection it enabled was truly invaluable” T.C. Mother of two and leader of Voices of the Ocean. My husband and I came to see Nicola for a marriage tune up and to resolve a few issues we were dealing with. What we have experienced is the deepening and broadening of our communication as a we have learned new pathways to share and listen. Nicola is very professional and doesn’t take sides. She stands the middle ground bringing you together as a couple. Her open heart and compassion for the pain that may be in your heart allows you the safety to express your most personal wounds and find the best route to healing. We look forward to our sessions with her and the new skills we will learn. Because of our work with Nicola we are more capable or understanding each others personal worlds and serving our partners emotional needs and that makes everyday together sweeter.” Rebecca and Hank Dye, Landscape Design Architects. “The Women’s Leadership Training was amazing. I feel more embodied, present, empowered and inspired as a woman leader in the world. I gained invaluable skills such as transparent communication, how to deal with challenges constructively and to grow real connection among my team. It helped me to be able to speak my voice and step forth courageously as a leader. I highly recommend these excellent leadership trainings with Nicola Amadora.“ ~ Joana Golio, Company Lead.